Hello Students! We hope you are preparing well for the upcoming Bihar Board Inter and Matric Exam 2019. You all must be well aware since 2017 Bihar Board introduced the Objective Type Questions. The weight of Objective Type Question is 50% so you cannot ignore Multiple Choice Based Questions. 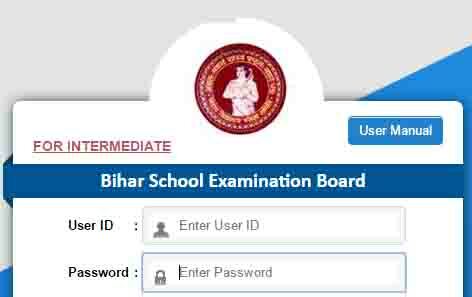 Every student will have to score good marks in Objective Type Questions to secure overall good marks in Bihar Board Inter and Matric Exam. In this article, we are going to cover up the Bihar Board Objective Type Questions, Bihar Board Objective Type Answer, a Preparation method for Objective Type Questions for Bihar Board Inter and Matric students. What is Objective Type Questions? Objective Type Questions or Multiple choice based questions (MCQ) where for a question we are given multiple options and among those multiple options only one is correct, so students have to choose only one option as their answer and mark these option in the answer sheet. Bihar Board has implemented Objective Type Questions in their Questions paper to test students critical thinking and problem-solving skills. Weightage of Marks for Objective Type Questions is 50% so students should prepare it well with the correct method. How to prepare for Objective Type Questions? Students will have to understand that like the theory question paper, Objective Type Question Paper should also be prepared with correct method to get good marks. Analyzing the Questions: First step of Answering Objective Type Questions is to read the instructions carefully before answering.Few Question Papers will ask students to answer the questions by writing it separately on the answer sheet while few questions will ask to answer it in the question paper only. Also Please follow the instructions given by your invigilator in the Examination Hall. Read the Questions Carefully: Questions should be read carefully before answering. You should start reading the questions slowly and don’t rush to answer it before understanding questions properly. If required please read the questions again. Understand the wordings of questions correctly: Students usually does this mistake by without reading the intent of the question they just jump to conclusion and hence answer it incorrectly. I have seen so many students doesn’t notice the wordings of the questions correctly. Review all the possible answers: There may be times when you will feel that there is more than one option can be your possible answer so before finalizing the answer review all the possible answers. Practice the Model Question Paper: Students should practice Model Question Paper of Objective Type to prepare it beforehand. We provide Model Test Paper on our website so you can check it and start practising! Eliminate the options: If you don’t know the correct answer then do it just reverse i.e start eliminating your options which is incorrect. for eg. Suppose a Question is asked that Who is the Captain of Indian Cricket Team? Although this is a very simple question still if you even don’t know about Cricket will be able to answer it following this simple Method. Here, In the options above you can see that Steven Smith and Joe Root are Foreign Name so you simply eliminate these two incorrect options Now you are left with two other options Virat Kohli and Sarfaraz Khan as you must have heard a lot about Virat Kohli so go with your Popular Choice and Your answer will be correct !! This is my proven method of sharing with students of Resultfor.in only.